Japanese mega tuner Power House Amuse was on site at Super Autobacs Yokohama recently to demo their new aero kit for the Z34; the Vestito. Lucky for us, Taka was there as well to capture it all. Amuse has long been producing unique and aggressive aero kits for a variety of chassis. This is their latest offering for the Z platform; preceded by the Superleggera kit for the Z33 chassis. I believe Amuse took a less domineering approach to this kit, and put more emphasis on flowing lines and function; and flat out on the track the Vestito proves that it does more than just look good. Click past the break for more display shots. A close up of the wide-mouthed front fascia reveals carbon winglets on either side, and above those, sleek air vents to aid in brake cooling. You can’t see it, but the under side of this bumper is continued along to create a sort of tray to help direct air flow underneath the car. A look forward from the rear gives a great view of how the whole kit flows with the lines of the 370. 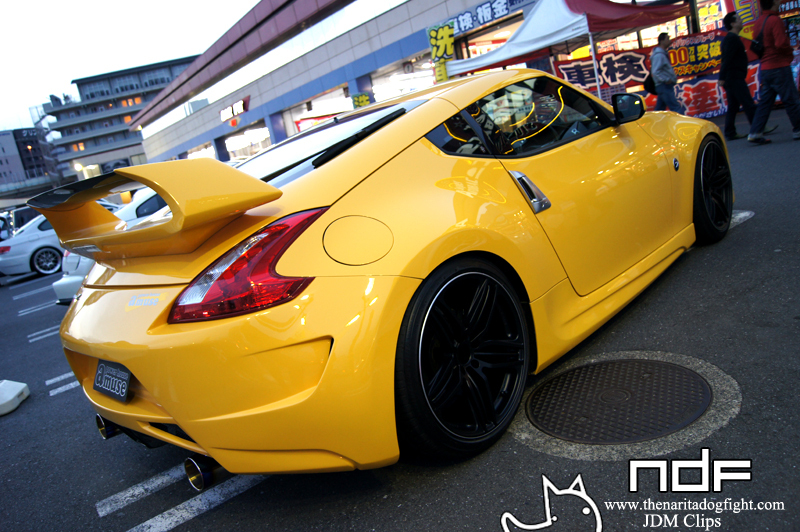 On the 370Z forums, the rear wing took a lot of flak; both for looks and function. However, from this angle you can see that the GT styled wing is actually angled enough to provide slight down-force, and not add to any parasitic drag. Another variation they had on display. I think I like 370’s better in white, although I’ve never been a fan of yellow cars. The BBS LM-R wheels match perfectly with the overall feel of the Vestito. You can see how they changed up the painting of the front bumper on this one, as compared to the yellow one. 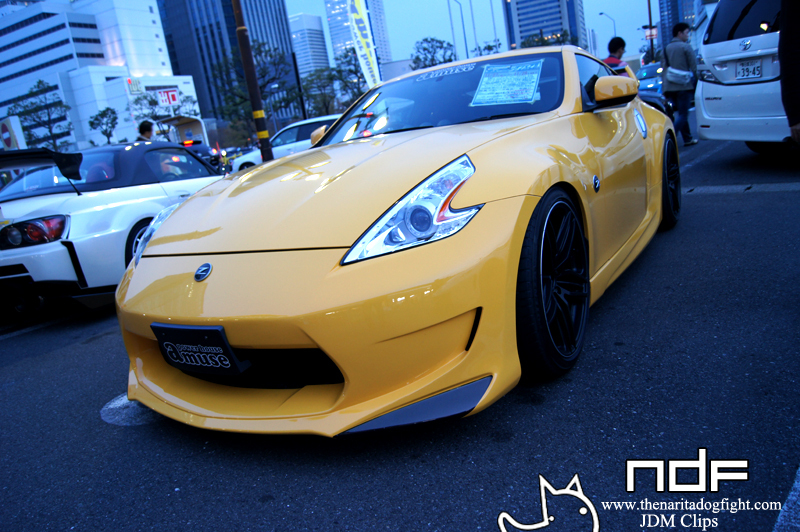 In the background you can see Amuse’s R35; a car we might see at Tokyo Auto Salon this January! Another shot from the rear. Nice M3 parked in front. A full profile of the Vestito; it truly is a beautiful kit! From the side, the spoiler looks much better, as you can see the true angles on it. This kit doesn’t seem to be as aggressive as their previous aero treatments. 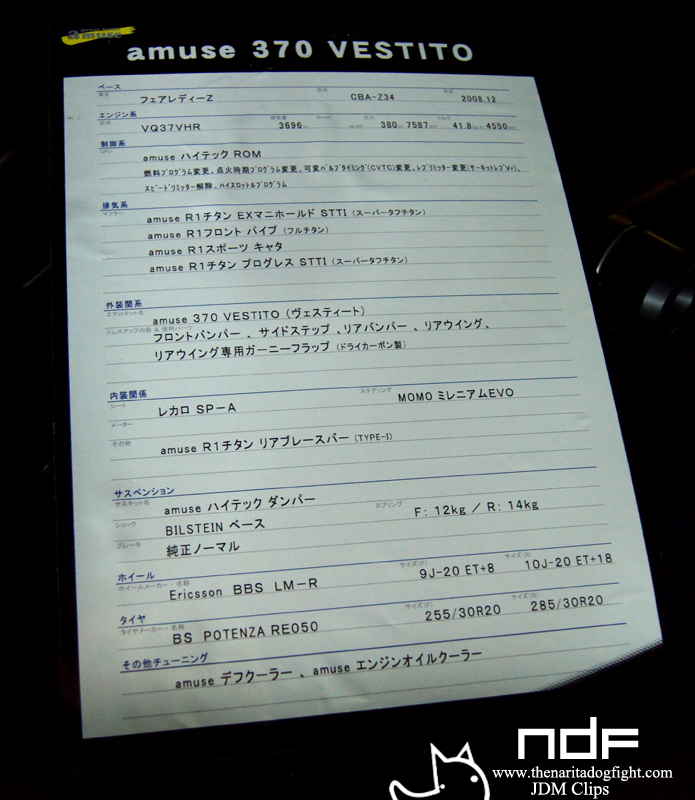 A spec sheet of the white 370Z Vestito. If you’re curious about anything on the car, you can view it here. If you need help reading it, just leave a comment, and I will help you. I’ll wrap this post up with a shot of the past, and present. 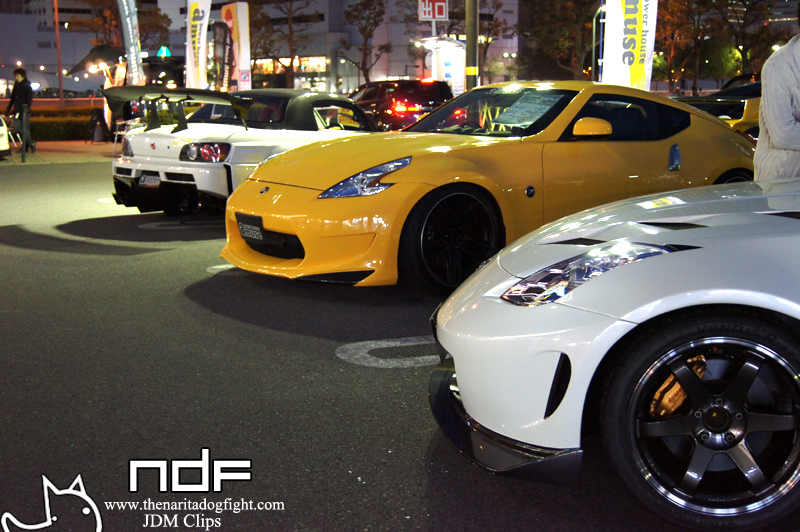 In the foreground is the old Z33 Superleggera, the Vestito in the middle, and the famous S2000 GT1 in the background. Check back for posts on both the 350Z and the GT1! 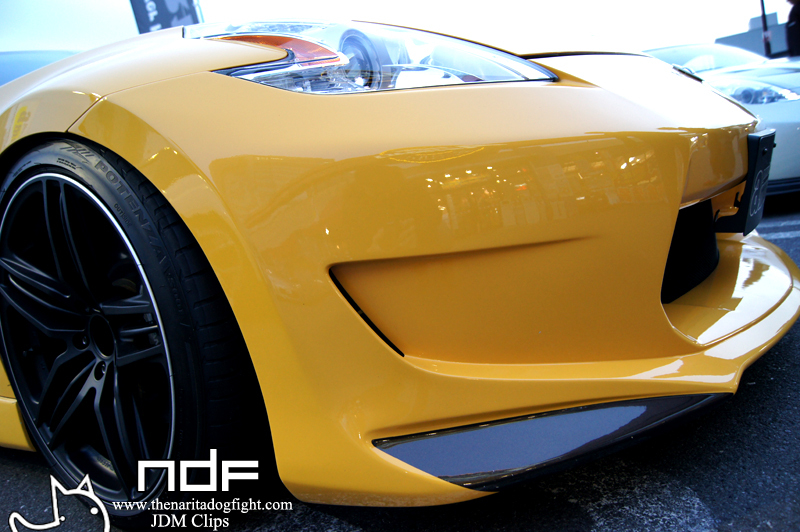 In the meantime, check out some tuner vids from JDM Clips! i’m curious about the front bumper. is the vestito front bumper lower compare to the stock front bumper? I’m not certain, but I would imagine so. I’ll ask my friend. Taka called Amuse to ask about them and he emailed me back saying they are Rays Triniti V’s. Looks like the engine is tuned with Amuses Hitech Rom. Sorry, website is only in Japanese.